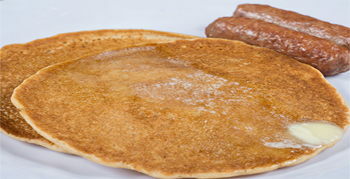 $5 for All-You-Can-Eat pancakes and sausage links at the First United Methodist Church Basement. All proceeds benefit the Kiwani's Children's Shoe Program, which provided over 600 pairs of shoes to Henry County children in 2018. Come support this great cause!